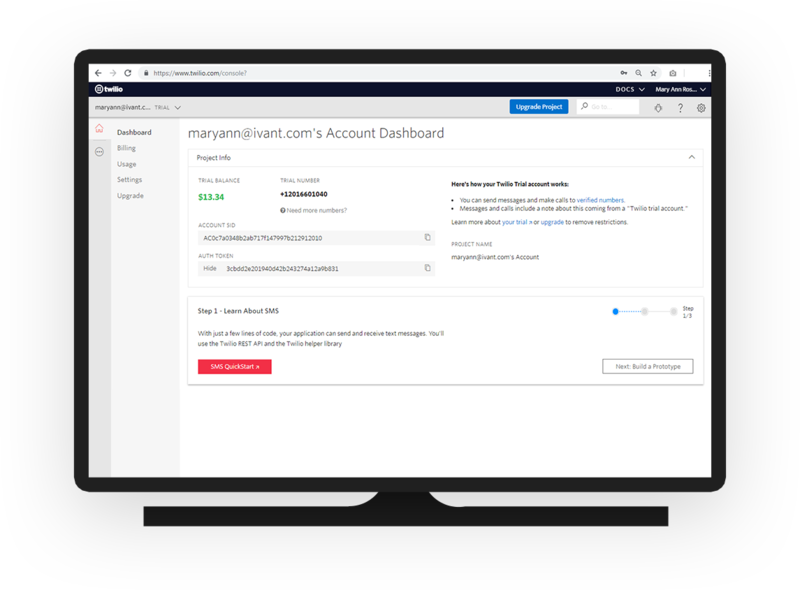 Create a Twilio account in https://www.twilio.com/, this will be the SMS Gateway API provider. Please note all SMS notification messages sent will be charged against this account's Credits, according to Twilio's prevailing SMS rate for your country. You will need to regularly purchase additional credits for the SMS to work properly. 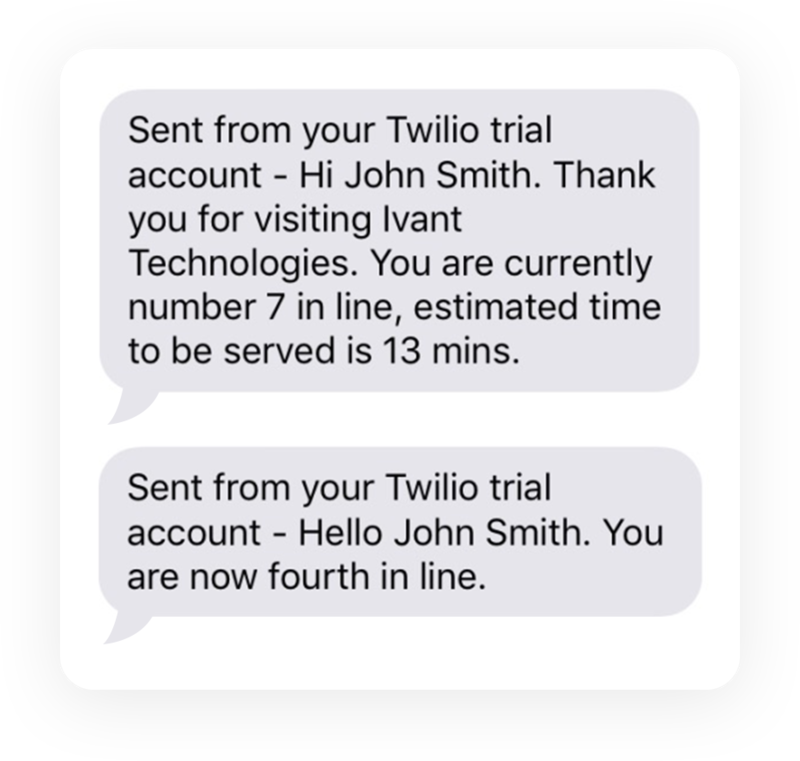 Unfunded Twilio accounts will not be able to send SMS properly. Country Code: Please select your correct country code for proper international phone prefix numbers. 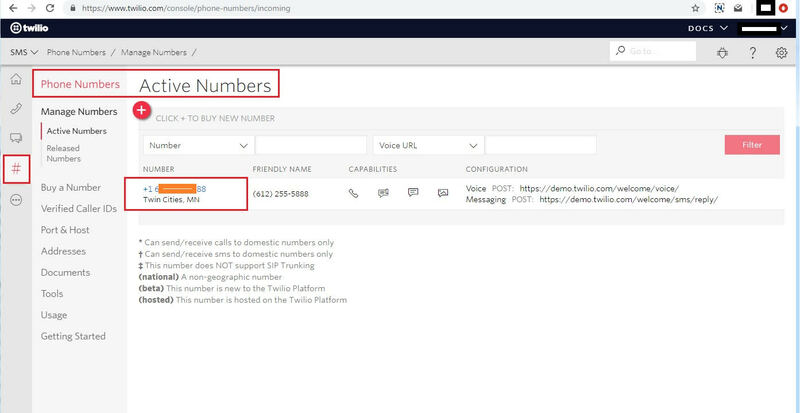 Account SID, Auth Token and Twilio Number: Please copy and paste from your Twilio account log in. Test Send Message: Allows you to quickly send an SMS and check if the SMS Gateway API settings are correct. 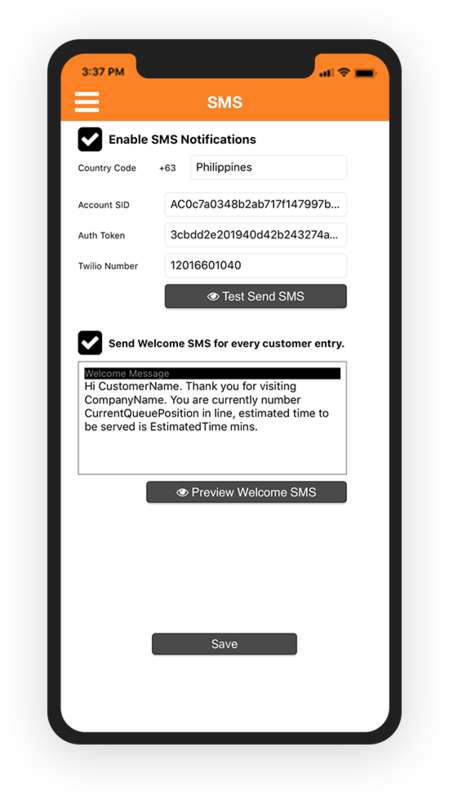 Send Welcome SMS: Once checked, each new Customer created in the queue will receive a Welcome SMS, this is helpful to verify that their phone numbers were entered correctly and can continue to receive SMS updates. 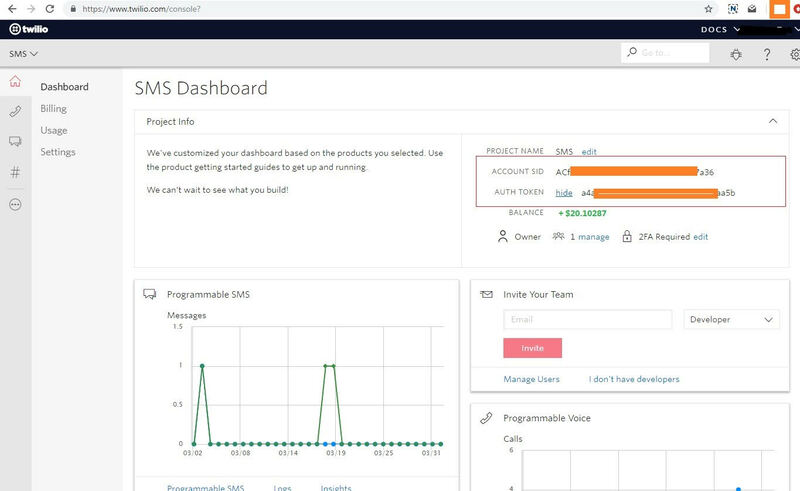 Once the SMS configuration has been properly set up, each new Customer Queue will allow you to specify how the Customer will be notified during the queue call process. 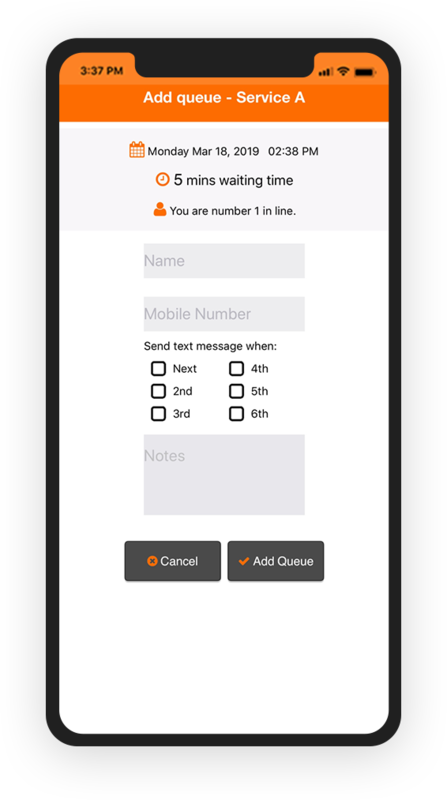 Customers will receive regular SMS notifications as the queue is being called.